CarGurus has 1,077 nationwide Shelby GT350 listings starting at $37,475. The top automakers are no different than kids in a sandbox. When Chevy created the Camaro ZL1, and then the Z/28, it was as if it had created two nice sandcastles. Dodge came over to look, kicked them both, and said, “Hellcat Challenger.” Now Ford is walking over and saying something about a 2016 Shelby GT350 Mustang. Things are escalating, and the German kids that used to run this part of town are confused and a little upset. Ford is no stranger to this game. Caroll Shelby practically invented it. Sadly, Mr. Shelby has passed, but his name and legacy are stronger than ever. Ford’s newest super pony car will have to be as good as the track-star Camaro Z/28, and there's not much point in doing a super pony if it can’t rival the straight-ahead speed of the Challenger SRT Hellcat. Many expect this new Mustang to up the ante. To deliver that amount of power to the pavement, Ford will have to change the Mustang’s underpinnings, and not just a little. The term “suspension upgrades” isn’t adequate for what this car will get. It will use a unique suspension employing MagnaRide dampers. That sure sounds like the Camaro ZL1’s spec sheet. Strut tower braces will be added, and the GT350 will use its own stiffer springs and other components. Each corner can be fitted with carbon ceramic brakes. On paper, this is not a car but a supercar. We should point out that there is not just one version of the 2016 Shelby GT350 Mustang. We've been told to expect a Track Package and also a GT350R, which will have all the top-shelf goodies one could select individually on the other two variants. Because this is primarily a track car hiding under the skin of a street car, the options list works backward. The top-spec Shelby GT350R may be limited in its seating to cloth Recaros. The Torsen rear differential and transmission will have optional liquid cooling, a requirement for racing and a smart choice for track days as well. Artificial suede and leather will be options for the GT350’s seats. Unlike the Mustang we all know and love, this car will be a 2-seater. Aerodynamic enhancements include a front splitter and rear wing, and under the skin, Ford will use more aluminum where bolted-on steel has been used in the past. The rear seats are just the largest of the items Ford's taking out to save weight. Also due for removal: the sound system and silly baubles like air conditioning and sound-deadening materials. Ford is also throwing out the ridiculous emergency tire-inflation kit. If you have a tire failure on this vehicle, you'll need to speak to a pit crew, not AAA. Buyers can pay to put some of it back by adding the Technology Package, which adds a navigation system. That might be helpful in case you get lost on the racetrack. Speaking of rims and tires, Ford says the 2016 Mustang Shelby GT350 will have carbon fiber wheels. This will be a first on any type of production car. Each wheel is said to reduce unsprung weight by 13 pounds, a huge amount of weight to take off a wheel. These touches don’t come cheaply, though, and Ford will have a hard time profiting from the Shelby GT350 if it prices it below the $75K that a fully outfitted Z/28 or Hellcat costs. This is the golden age of pony cars, muscle cars, and performance sedans. Ford’s 2016 Shelby GT350 steps into a crowded field, and to stand out it will need to be special. We trust it will be. 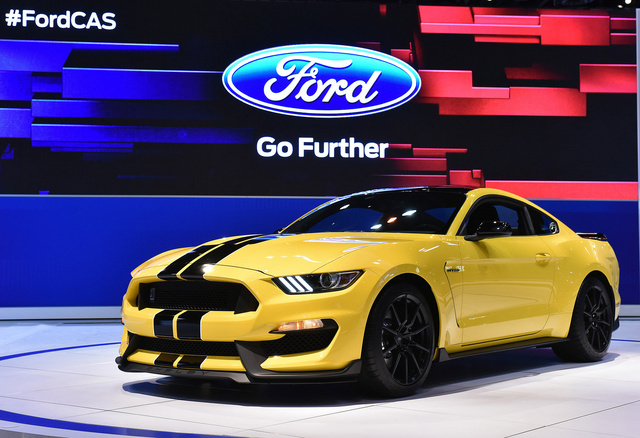 What's your take on the 2016 Ford Shelby GT350? Users ranked 2016 Ford Shelby GT350 against other cars which they drove/owned. Each ranking was based on 9 categories. Here is the summary of top rankings. 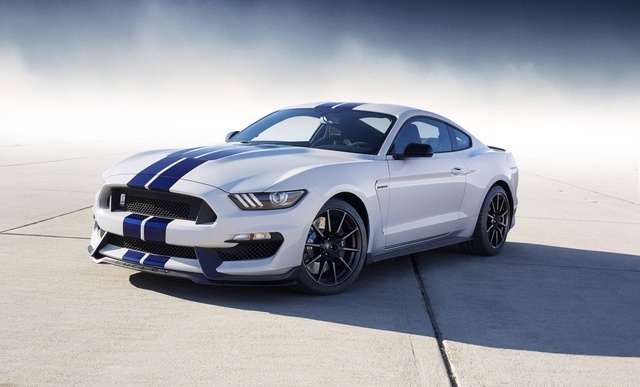 Have you driven a 2016 Ford Shelby GT350?